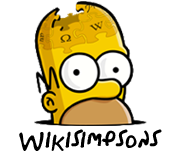 Hello, and welcome to Wikisimpsons! Thank you for taking an interest in our wiki. If you have any troubles, feel free to ask questions on any experienced editors' talk page.